Last night I fried the dessert. I used a piping bag for the Nutella, but feel free to use a sandwich bag or just a spoon or whatever. Basically, follow your heart. Ok, ok. I used NussFit because the Nutella was out when the ingredients were purchased. True story. Nutella just rolls of the tongue way better. I used a pastry brush for the egg wash. I find that the brush is really cool about even coverage in a thoughtful way. 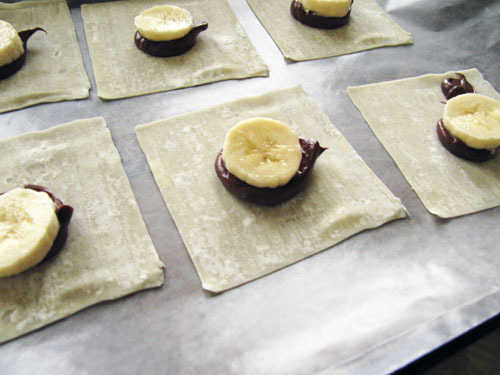 Sometimes the bananas bullied the wontons… There’s an example in the top left corner. So I realized that if I jostle the banana to the side when I fold these suckers then the wonton won’t bother breaking. Aren’t these guys pretty in their pre-fried state? But let me tell you, nothing beats the melty chocolatey and hazelnut-y goodness post-frying. I only made a half recipe of these guys (with a few casualties). But I can promise you this: I’m making these the next time I have people over because these were even better than I imagined. And rumor has it these are really pretty garnishing ice cream. * You should be able to get 24 slices per banana. 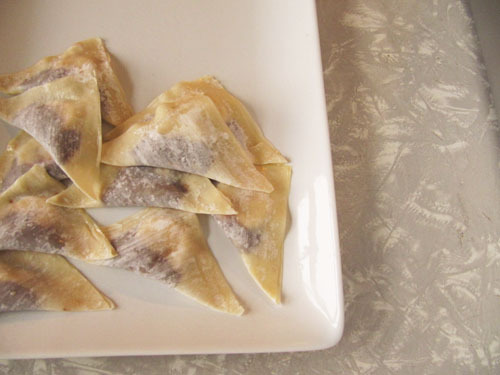 Line two cookie sheets with wonton wrappers. 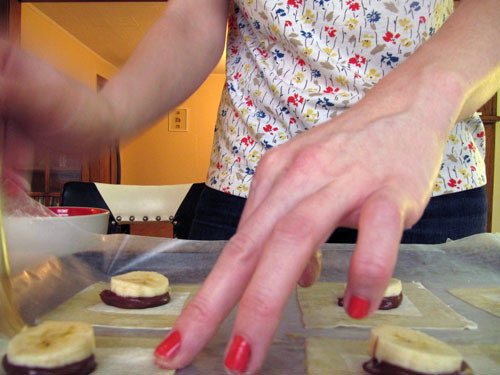 Next, make an assembly line with the nutella, bananas and egg wash. 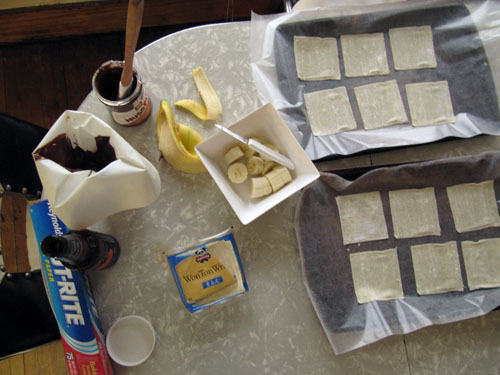 Pipe or place 1 teaspoon of nutella in the center of each wonton wrapper, then place a banana slice on top, pressing slightly. 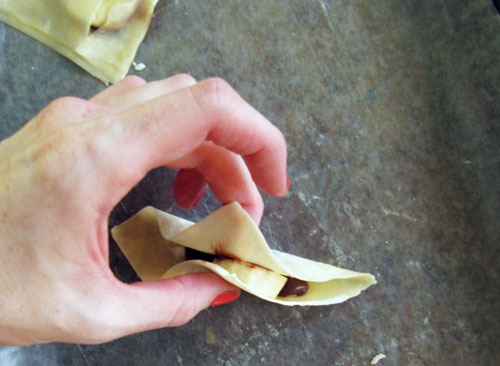 Brush all four edges of the wrapper with the egg wash. Seal into a triangle shape, pressing together with your fingers. Heat oil in large shallow pan on high until it sizzles when water is flicked at it. Fry until golden on each side, remove from oil and place on a paper towel to drain. 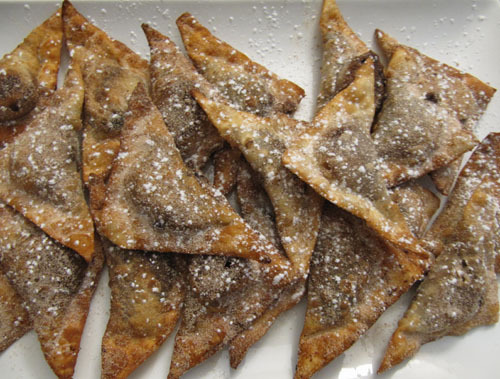 Toss with cinnamon sugar and sprinkle with powdered sugar. Then do your best not to eat all 48. 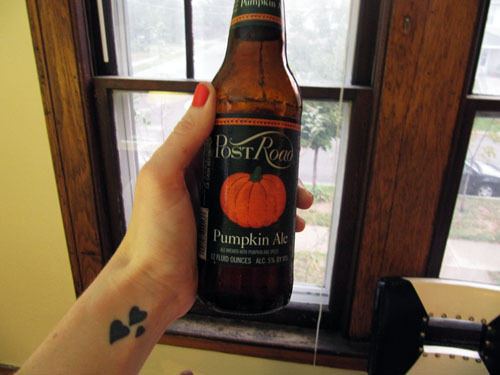 Sometimes Pumpkin Ale is the secret ingredient to success. What an interesting idea! They look fabulous! 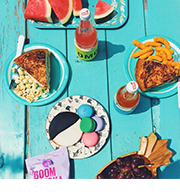 oh my gosh… those look absolutely amazing. I think I’ll make them this weekend!!! Oooh, I wish we had Nutella in the house! 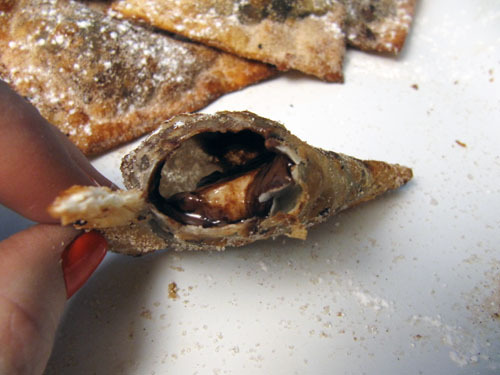 The crunch of the wrapper with the ooze of nutella and banana… that would be just too good. Yeah, Dana! Use chocolate chips or brown sugar if you want! I bet those would be super good too. This is an awesome idea! But what is NussFit? 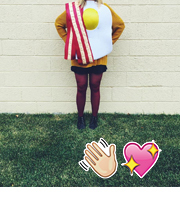 haha NussFit is wannabe Nutella. It tasted really similar to Nutella, though. Can you believe my grocery store was out of Nutella for a minute? Hello, May I ask where you were able to find the Nussfit? I have been searching for it for a friend. I’m still searching for the nussfit. Please tell me where you bought it? Thank you! Oh man! Sorry not to respond for forever! Have you been able to find Nutella? Nutella is the best, but Nussfit was just the chocolate hazelnut spread I could find. I found it at Holiday Market in Royal Oak, Michigan. Also, you could also just pop some chocolate chips in this recipe instead. Good luck! I made these tonight for me and my boyfriend. Mine did not turn out as pretty as yours did. Even my boyfriend looked at them and was not impressed. However, they tasted amazing!!! I fried them in coconut oil and served them with vanilla ice cream. We loved them!